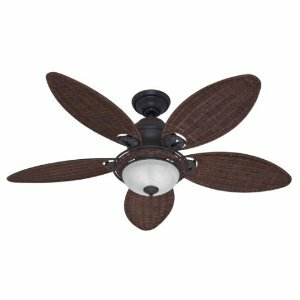 Help - My Ceiling Fan has been Exposed to Water or Rain - what should I do? My ceiling fan was exposed to rain or water and now it's not working. What should I do? This happens if you didn't purchase a UL wet listed fan. This is actually a common problem that occurs often - so don't dismay! There are a few things you can check on the fan. Below we describe what to check and how to find the source of the problem. Did you have a burning smell come out of the fan motor or any other component? If so, shut the fan down right away. Where is the smell coming from? This would be a clear indication of where the problem is happening inside the fan. 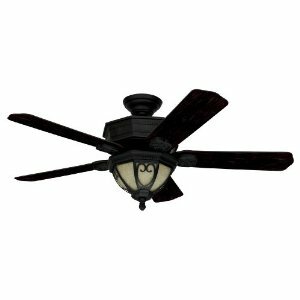 When you turn on the switch to start the fan do you hear the motor coming on? 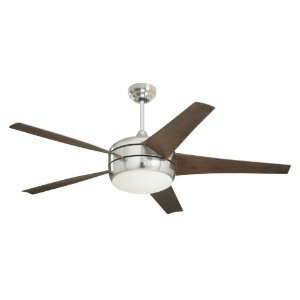 If the motor does not come on (no hum or any indication) then there is no power coming to the fan motor, or the motor needs to be replaced. 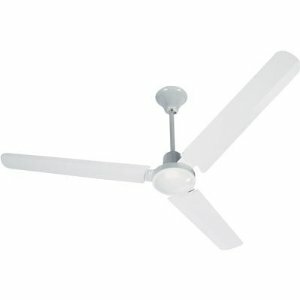 Are any of the wires burnt or any wires are frayed, causing the fan to lose power? Did you let the fan dry out after the insides got wet? Typically it's best to leave the fan in a warm, dry place for at least a day. 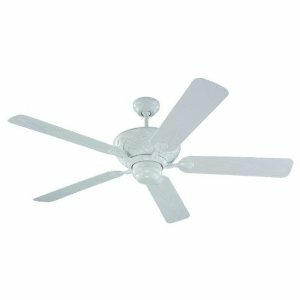 Another thing you can do is check with your local hardware store on how they can repair your ceiling fan. Or, the local electronics store. Some smaller electronics stores that specialize in repairing home appliances may be able to help. 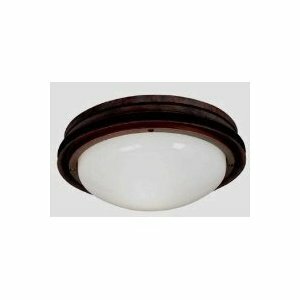 Lamps 2/40 Watt Bulbs 10" Wide x 5" High Suitable for Wet Locations. 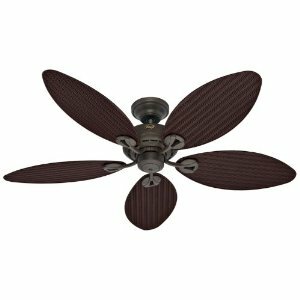 Hunter 52-Inch Stonehaven, with a style worthy of the glorious courtyard gardens of old Madrid, combines a powerful, ironwork-inspired approach with the soft look of amber scavo glass to create an unforgettable outdoor fan. 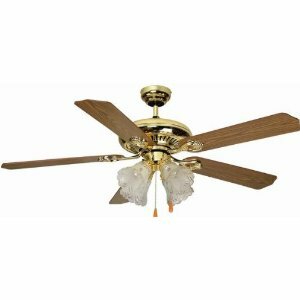 This fan is part of our prestige fans which means it is designed to be one of the best built, best performing fans available and also designed to be the most beautiful as well. 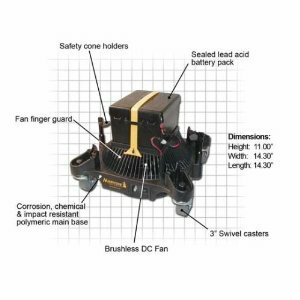 The Hurricone Fan System comes complete with rechargeable battery and charger. You add the cones. Fits HURRICONE? Brand, Rubbermaid®, and Lamba Systems® 36 in. 4-sided Safety Cones. Please click on the photo for a visual list of features. Weighs 29 lbs without the charger, sits 11.5" high without the cone, and is 14.5" square.